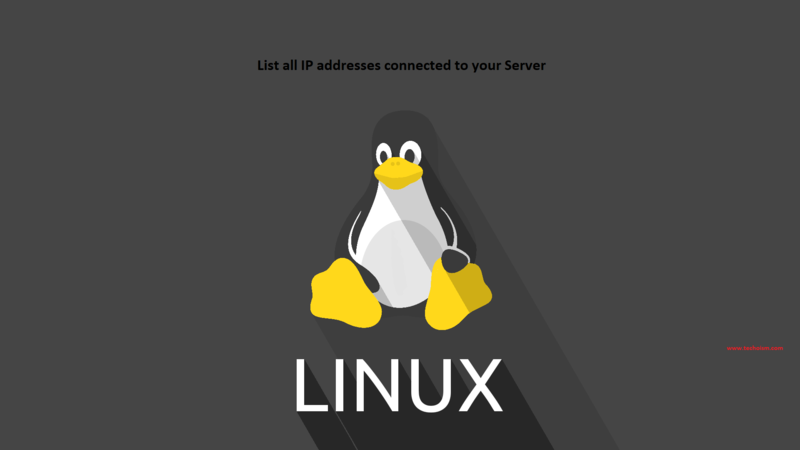 We have multiple methods to list all the IP addressed, but below is a Unix command to list all the IP addresses connected to your server on port 80. Above command is very useful if your server is under attack and then you can block the IP. Also, you can change the port no as per your requirement. -n: Display numeric only, don’t resolve into name. -t: Display only TCP connections. This will help to display the IP address those are connected to the server on port 80.
awk command will help to display the 5th field. Uses cut to extract the content. -d: Character immediately following the -d option is use as delimiter, default is tab. -f: Specifies a field list, separated by a delimiter. Sort the list in reverse order. This is optional, to display the first 10 result.